We just spent a few days in Yosemite; it was wonderful. Cold. Snowy. Cuddly. After playing in the snow for a couple days, it definitely began feeling like the holidays to us. Nothing screams the holidays until the first, freshly fallen snow! What seasonal changes do you associate it with the holidays? Come share it with us! 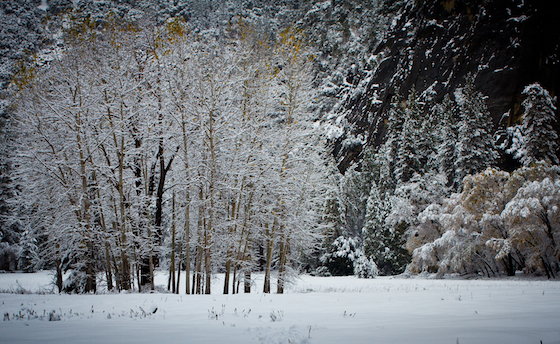 One Response to "Winter Wonderland in Yosemite"